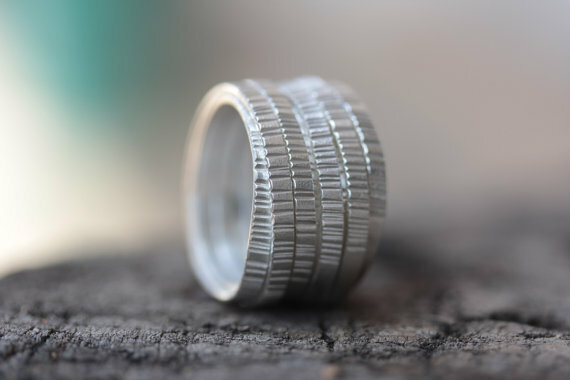 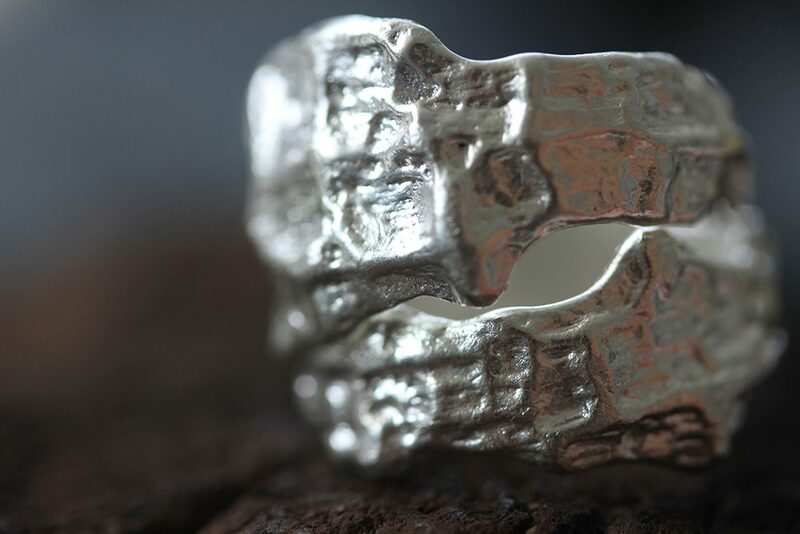 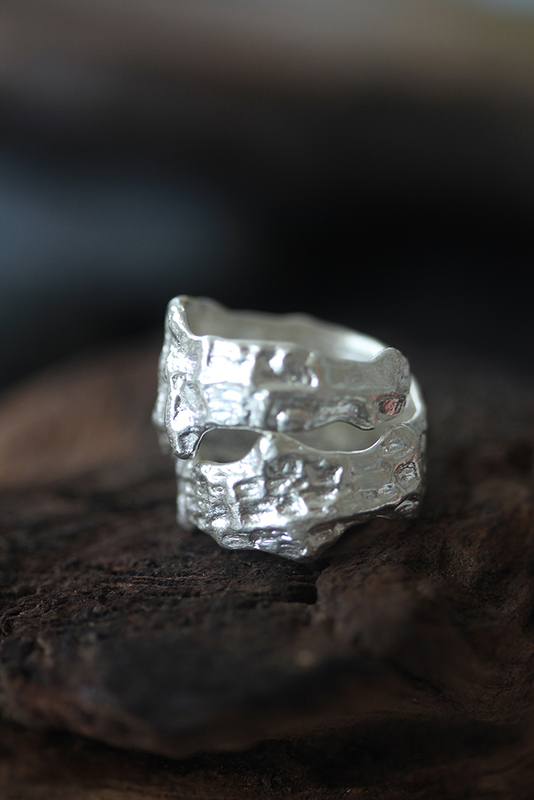 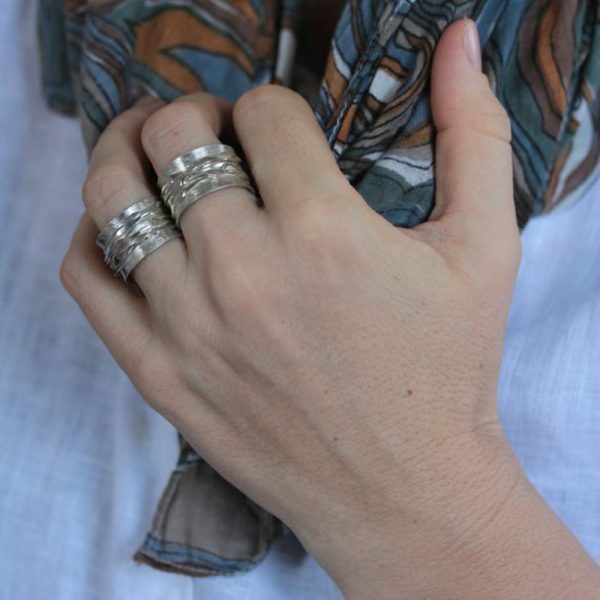 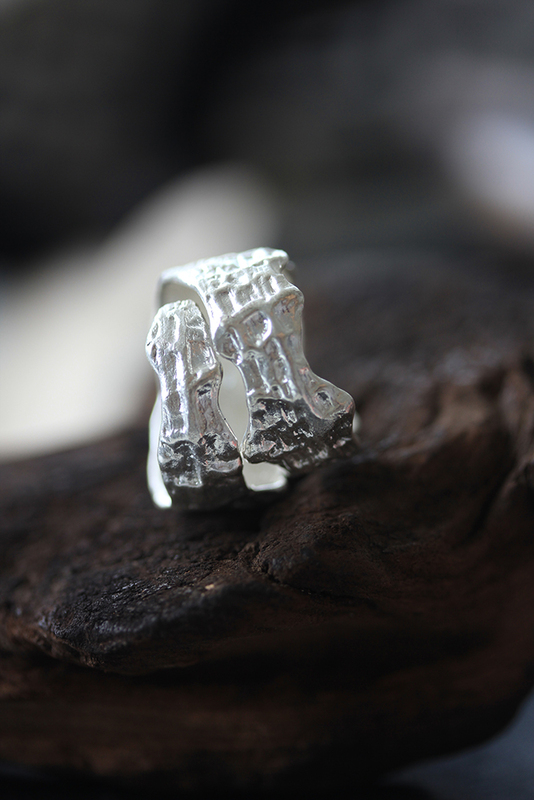 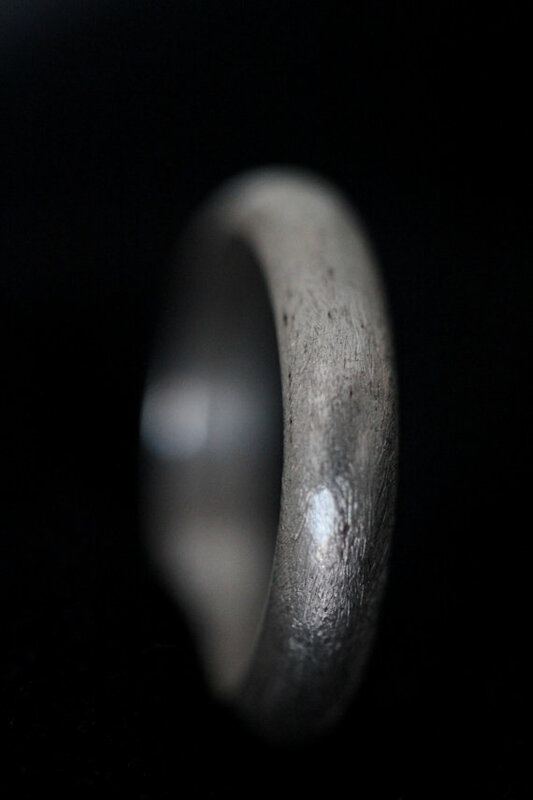 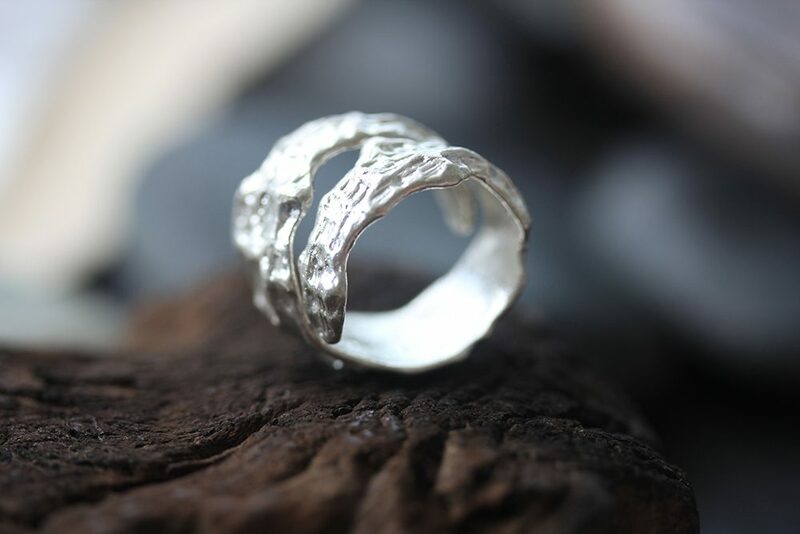 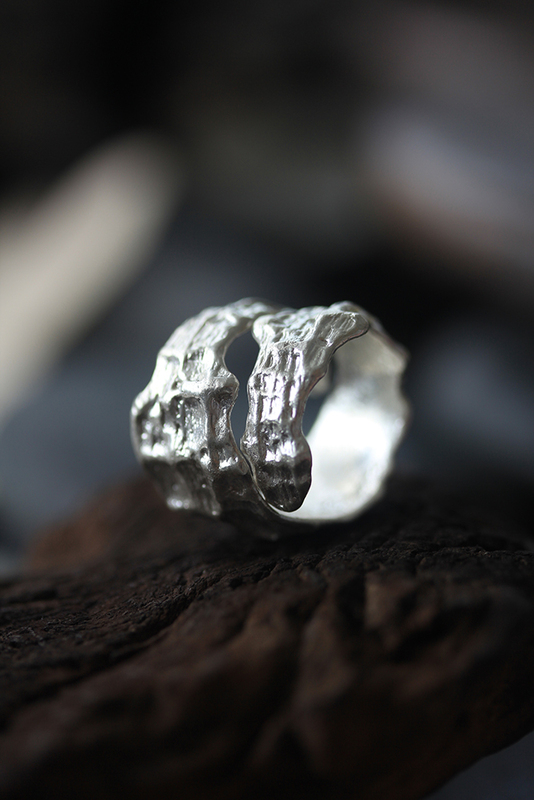 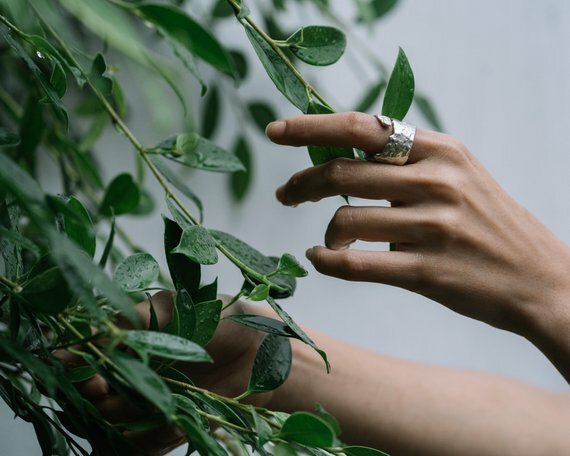 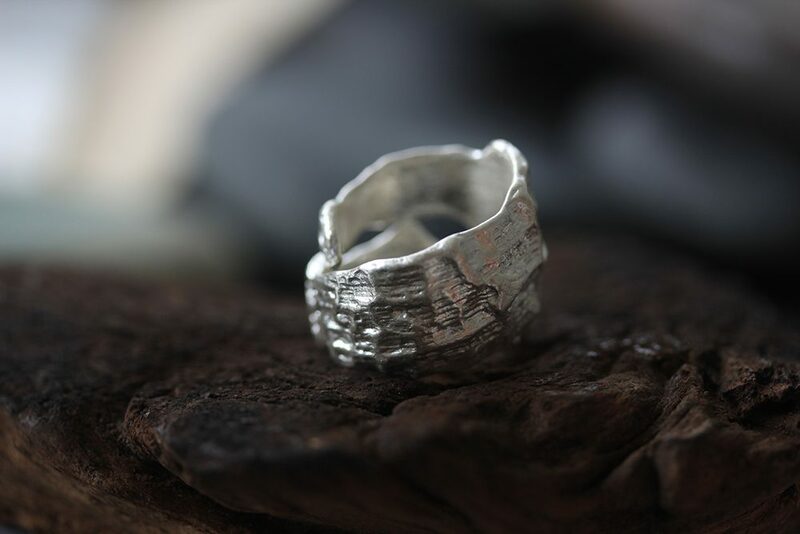 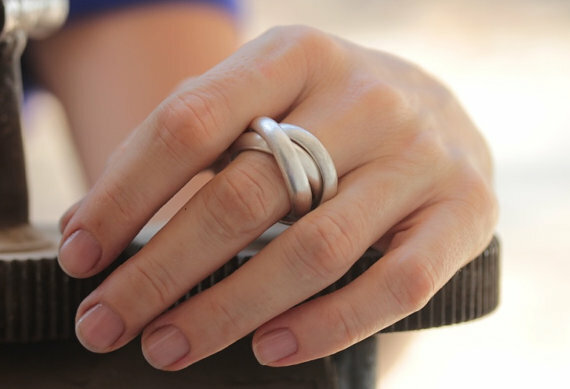 This unique statement ring is a part of our “charcoal collection” that originates from our experiment to create alternative textures on silver surface. 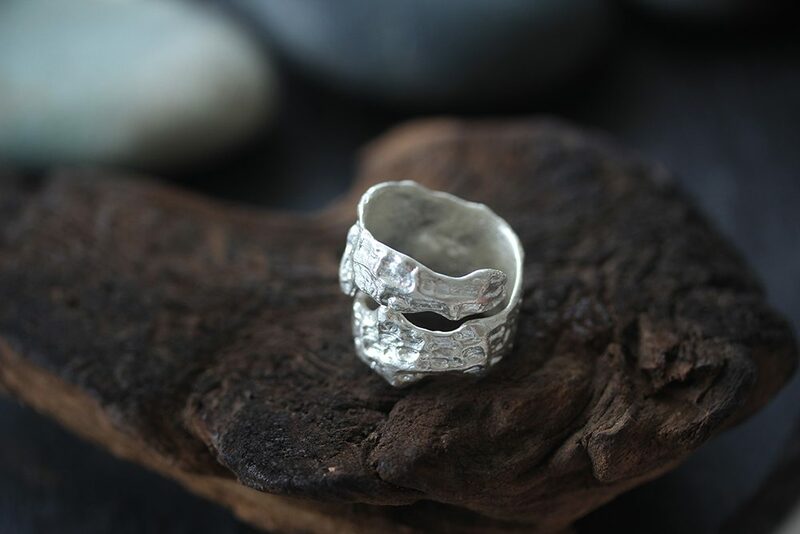 In the same collection we also created a bracelet, earrings and a pendant necklace. 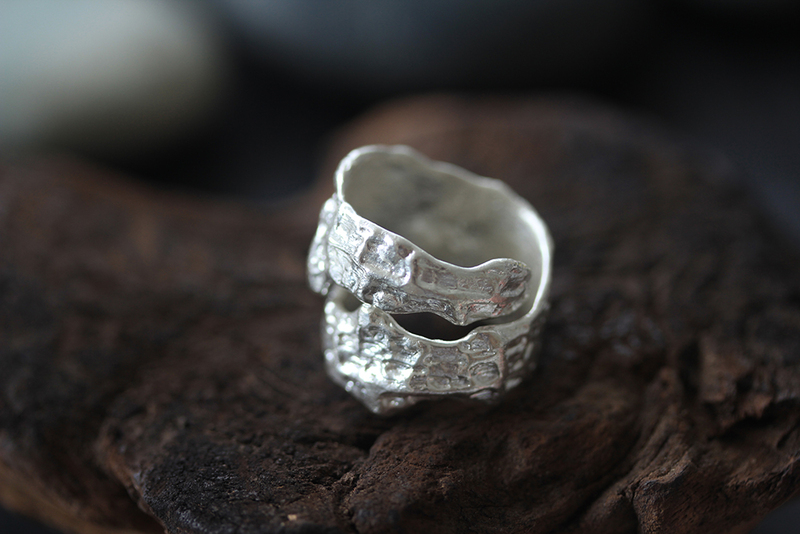 We will send the ring in a traditional Thai packaging with tracking number for safer shipping. 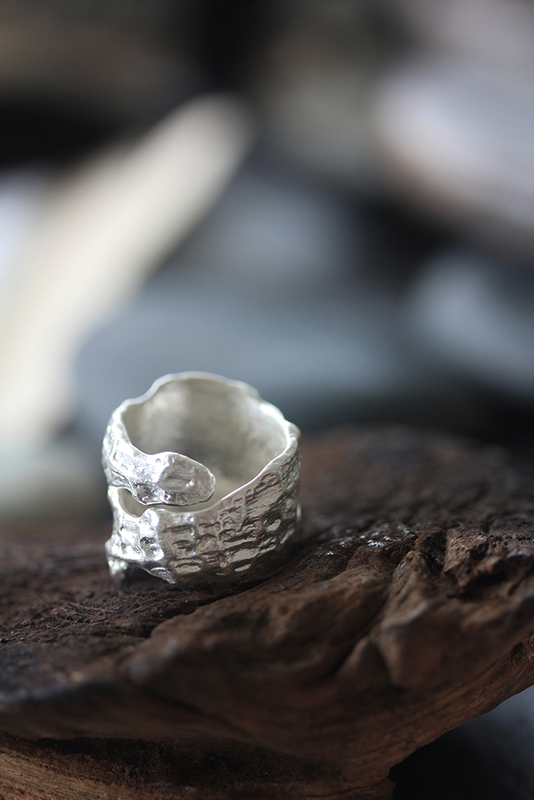 PLEASE LET US KNOW THE SIZE OF THE RING WHEN ORDERING. 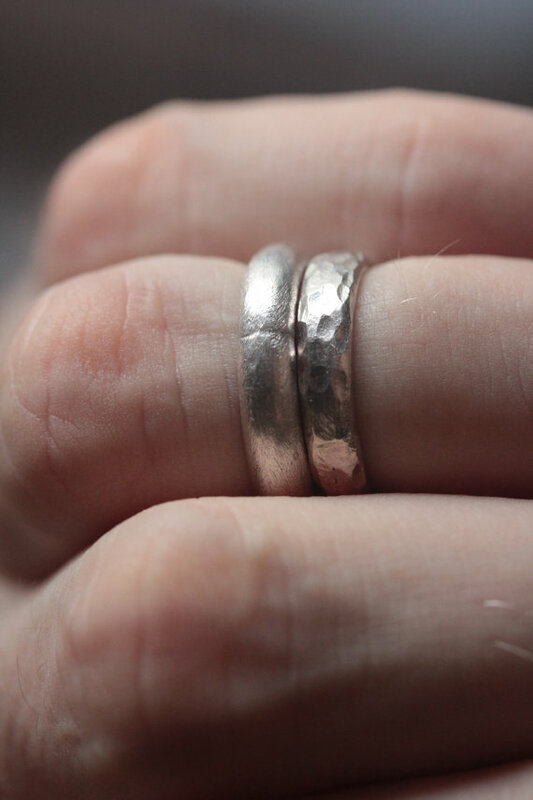 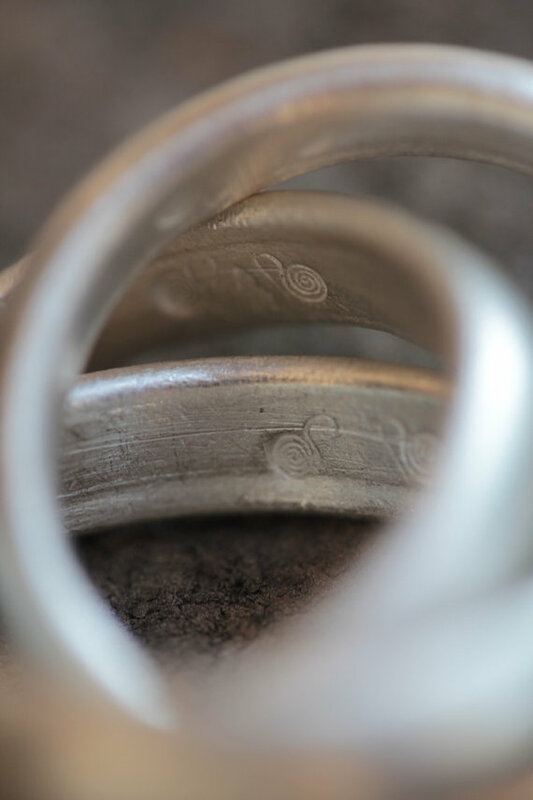 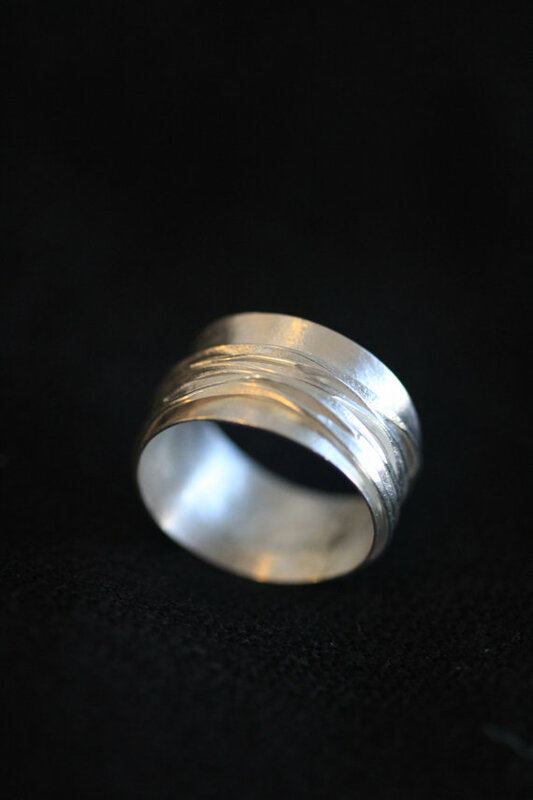 It is wise to consider at least half size more than the usual size given the wide bang of the design of this ring.